Digi reported its Fourth Quarter 2018 (4Q18) financial results today. The mobile Telco now has 11.66 million subscribers compared to 11.8 million in 3Q18. It lost 143k subscribers in 4Q18, between October, November and December 2018. Digi added 75k new Postpaid subscriptions however it lost some 218k Prepaid subscribers in the recent quarter. 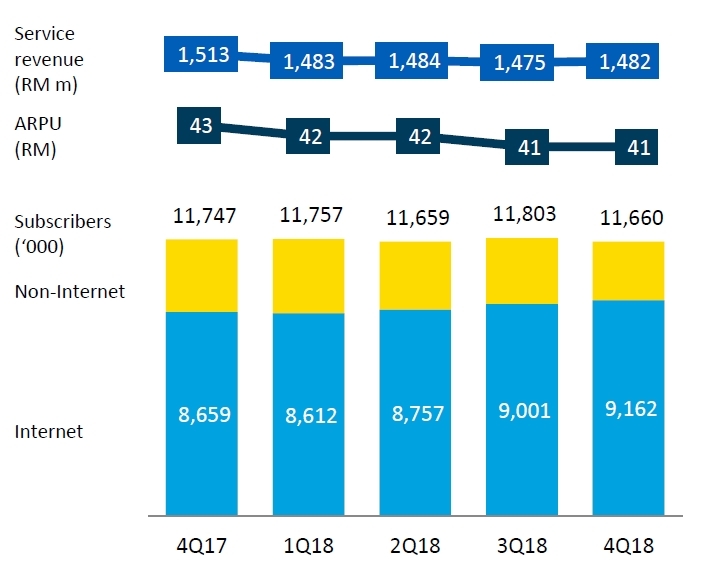 Digi Postpaid subscriber base stood at 2.81 million as of 4Q18 (vs 2.73 million in 3Q18). Digi said it was contributed by Prepaid to Postpaid conversion (entry level plans), higher demand for device bundles and the new easy device ownership program Phone Freedom 365 (PF365). 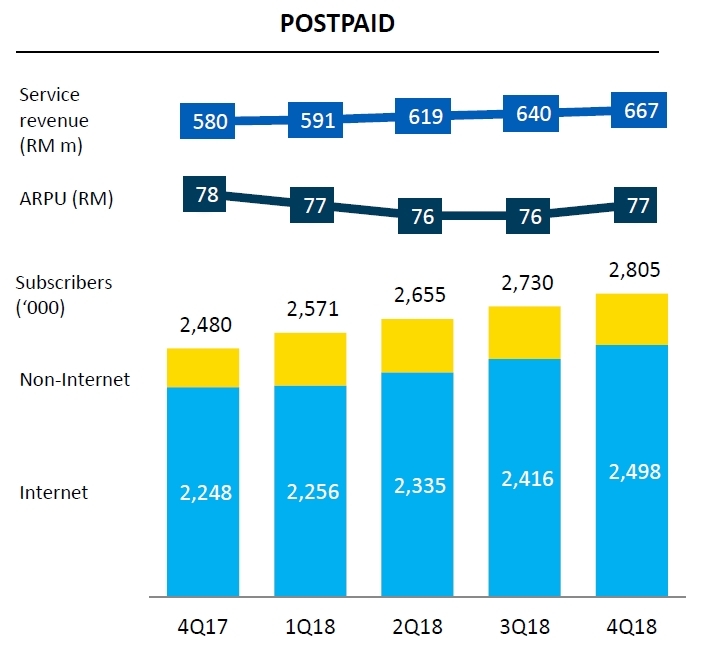 ARPU for Digi Postpaid was at RM77 in 4Q18 (vs RM76). 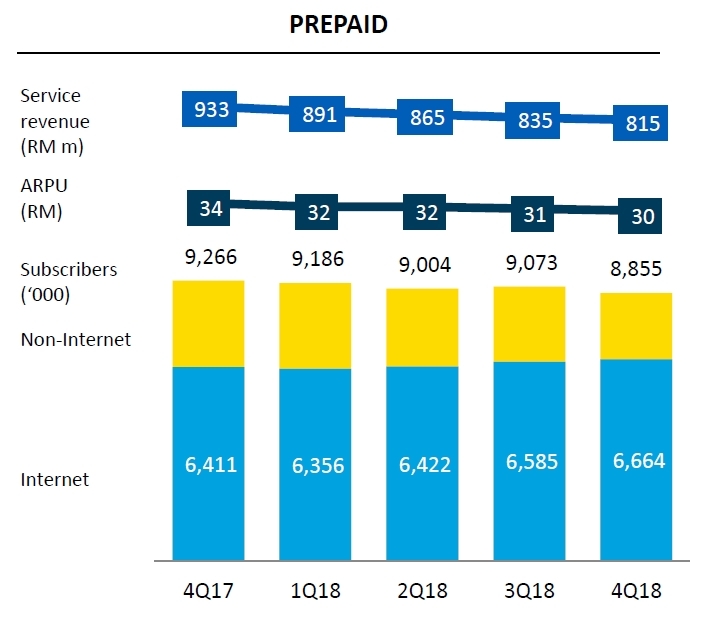 As for Prepaid, there are now 8.86 million subscribers as of 4Q18 (vs 9.07 million in 3Q18). 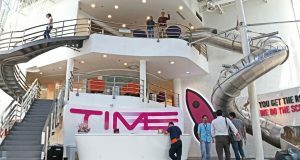 The Telco said “Moderating demand for prepaid legacy services and steady conversions to postpaid led to 12.6% Y-Y and 2.4% Q-Q lower prepaid revenue”. Prepaid ARPU was at RM30 in 4Q18 (vs RM31 in 3Q18). There are 9.16 million or 78.6% (9 million in 3Q18) mobile Internet users including 7.9 million (7.5 million in 3Q18) on the 4G LTE network. 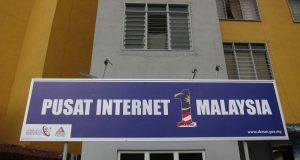 Some 2.5 million Digi subscribers does not use mobile Internet (307k on Postpaid and 2.2 million Prepaid). Digi mobile Internet users consumed an average 9.9GB per user in 4Q18 (vs 9.1GB in 3Q18). 4G LTE coverage now stands at 89% (unchanged since 3Q18), while LTE-A coverage increased 4% to 65% nationwide. Digi said it spent RM230m (CAPEX) in 4Q18 to expedite network deployment and capacity upgrades in preparation for 2019. The company sold some 122k devices in 4Q18 (vs 132k in 3Q18). Some 79.6% of its subscriber base are smartphone users. 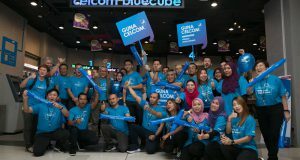 Invested RM230 million capex for IT, network capacity and quality upgrades in preparation for customer needs in 2019. Network coverage footprint is now at 4G LTE: 89% and LTE-A: 65% with 8,400km of fibre network. Total FY 2018 capex investment is RM685 million or 11.6% of service revenue, meeting guided capex commitment of between 11%-12% of service revenue. 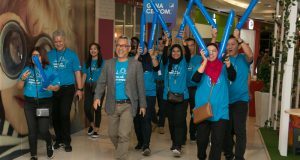 Launched PhoneFreedom 365, a device ownership programme offering customers free upgrades to the latest smartphones every 18-24 months with RM0 upfront payment and 0% interest rates. MyDigi app active user base grew over 20% y-o-y to 3.0 million, contributing to 23.4 million upsell transactions on the app. 10% of total transactions were driven by the personalised Box of Surprise feature launched last quarter. Introduced Digi WiFi hotspot beta with passes as low as RM0.70, made available at about 300 locations in the Klang Valley and Seremban. The trial is part of our active exploration to bring more connectivity options to Malaysians in the future.